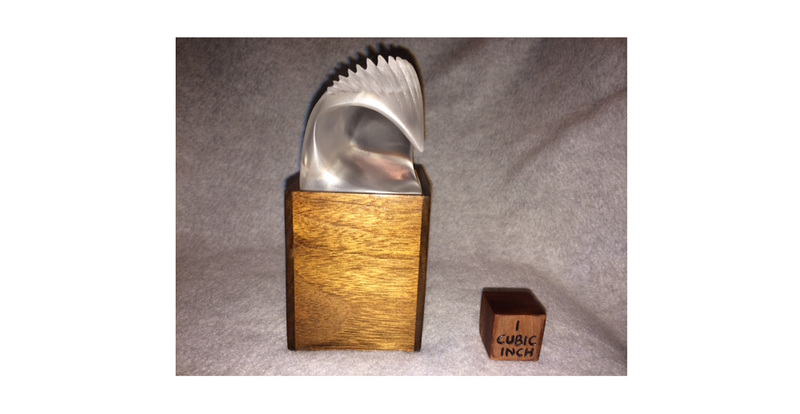 Cubic Tube Dimensions: 2.5″ Length X 2.25″ Wide X 2.5″ High. 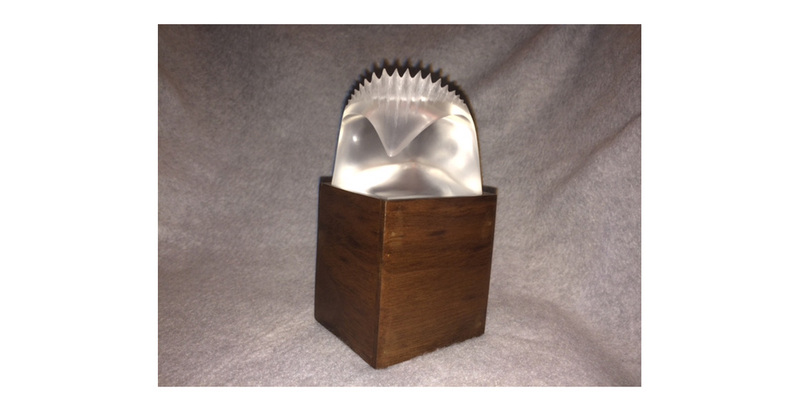 Description: Clear Lucite Peak on a 2.75″ Length X 2.5″ Wide X 3.25″ High Black Walnut Base. 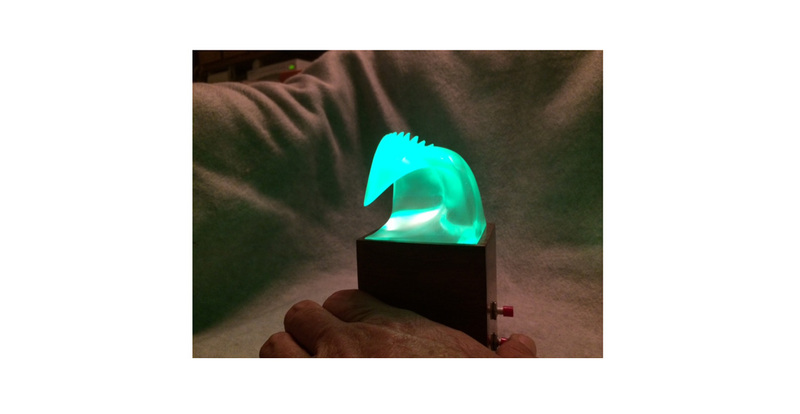 There are blue and green LED’s on independent momentary switches powered by a 9V battery. 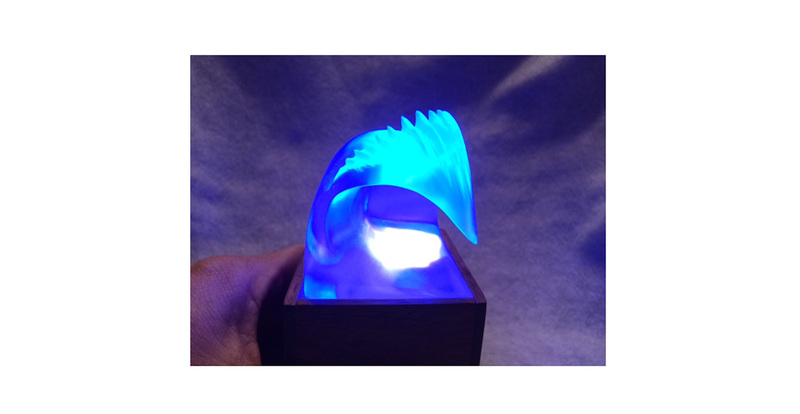 And if you remove the wave, it’s bright enough to use as a flashlight!